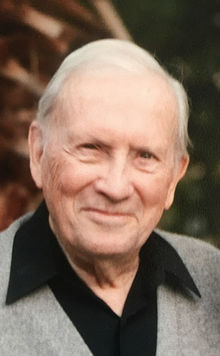 Col. Jay P. Thomas, U.S.A (RET)., 96, passed away on Wednesday, January 23, 2019 surrounded by his family in San Antonio, TX. Born on July 29, 1922 in Springfield, IL. He retired in 1968 from the Department of Defense from the Pentagon to join Thomas J. Lipton as well as Brookshire Hathaway in senior management. He went on to became Vice President of Merrill Lynch in San Diego, CA. He completed his Master's Degree in Business Administration from George Washington University and graduated from the United States Army Command and General Staff College. Col. Thomas served in World War II and Vietnam. He is survived by his two children, his two grandchildren and his companion. Interment with Full Military Honors in Arlington National Cemetery date to be determined. In lieu of flowers, the family requests that memorial contributions may be made to Shriners Temple and Toys for Toys for Tots.